I thought I'd fill you in on what our class has been working on. We're in the middle of our Canada unit. In Grade 1 we're required to teach Canadian symbols. This is always lots of fun cause we get to learn some cool stuff about maple leaves, inukshuks, beavers, the RCMP, etc. Last week we finished the writing to go along with our Canada map. We also read this hilarious book about Moose and his friends Bear and Beaver. We watched a couple of videos about beavers, then wrote some facts. The Symbols of Canada unit is from Amanda at First Grade Garden. 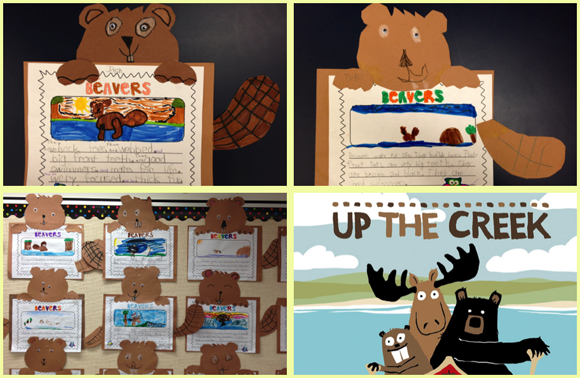 We turned those facts into sentences and made these cute beaver paragraphs. We enjoyed another book by Nicholas Oldland called Up The Creek. If you're looking for some Canada activities, be sure to check out MY PINTEREST SOCIAL STUDIES BOARD. I've got lots of exciting stuff, including videos, art and cooking! We're also celebrating LITERACY WEEK! Today we drew and coloured ourselves holding our favourite books. 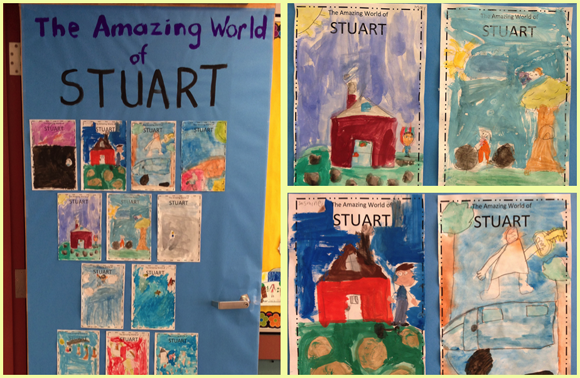 We also turned our front door into a big book (sort of :)) We just finished reading the chapter book, The Amazing World of Stuart by Sara Pennypacker. It was a huge hit with the class and they really wanted to paint their favourite parts of the book. Sara Pennypacker is also the author of the Clementine books. 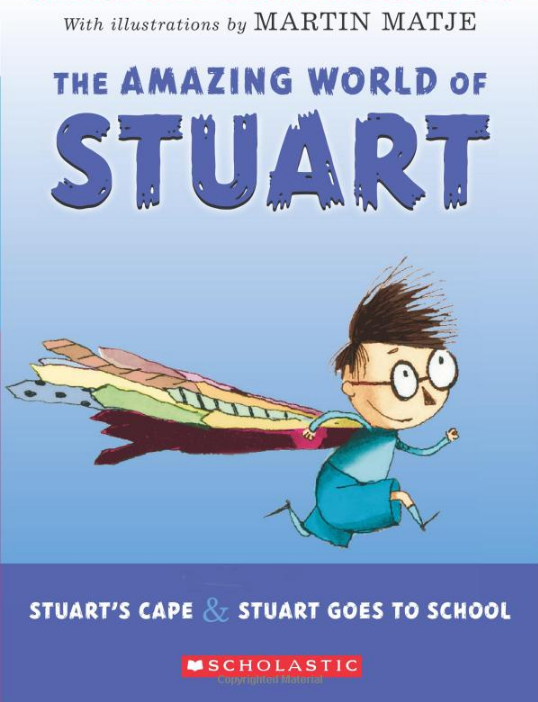 I think I'll probably do a book review of it soon. Happy Spring Break to a whole bunch of you!!! We have to wait until Friday. Cheers! You have your class do the cutest dang activities. I loved the beaver craft and writing response. Thanks for the book suggestions... 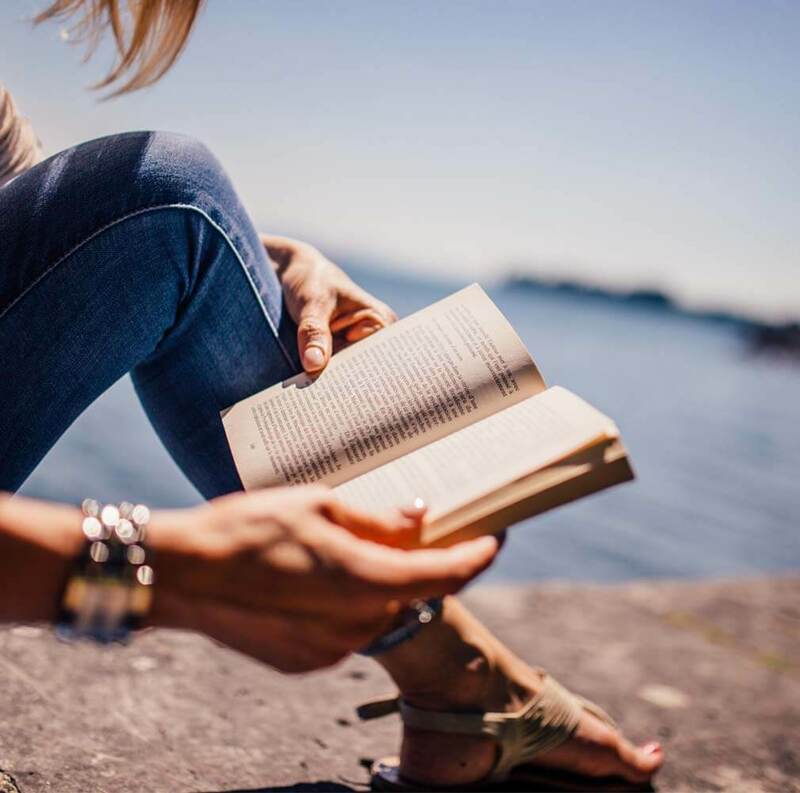 I have enjoyed every book you have suggested! I'm off to the library. Your class is creating such cute activities!! 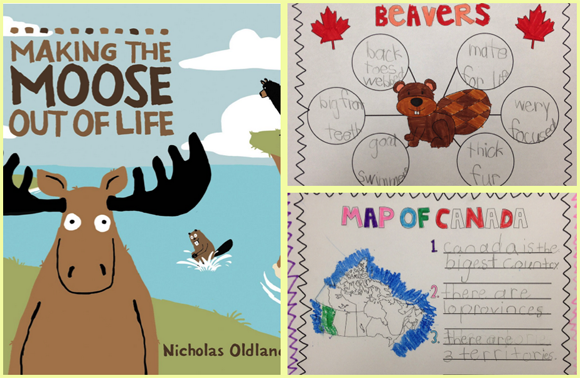 The beavers and writing are adorable! Pinning that for you! 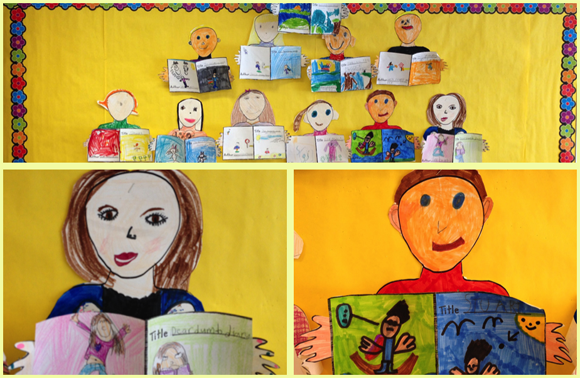 I have done a display similar to yours with the kids holding their favorite books. Those make great displays! !